BOGALUSA — “That’s my daddy,” Barbara Hicks-Collins, now 72, said as her hand gingerly swept across the image on the Louisiana Historical Site landmark. Her father, Robert “Bob” Hicks, was an integral part of the Deacons for Defense and Justice, a black group that combated the Ku Klux Klan in parts of Louisiana and Mississippi in the 1960s. The Deacons believed that Rev. Martin Luther King Jr.’s concept for nonviolent resistance only worked in bigger cities. But in smaller places like Bogalusa, more drastic measures were needed to keep the Klan at bay. So the Deacons armed themselves to protect their families and their neighbors, though they maintained a crucial rule — don’t shoot unless you’ve been shot at. In the summer of 1965, Bogalusa was on the brink of becoming a war zone between the Klan and the Deacons. Then-Gov. John J. McKeithen sent in 150 state troopers to join 72 others already there in case of mass conflict. No battle broke out, and there have been no documented deaths because of the Deacons’ activism. The FBI files also include a Los Angeles Times article in which Thomas was quoted as saying that the Deacons had contacts in Chicago and Houston for .30-caliber and .50-caliber automatic weapons. I was actually referring to the banned officers. They were more than accused and lost their certifications via a system that has a built-in bias in their favor. Reports are that #RealPresidentObama has tens of millions more Twitter followers than #ErraticTrump and he's totally pissed about it. Also, reports are that Twitter's CEO explained that 500,000 bots and fake followers of #Loser45 were deleted. More than a million were deleted re: Obama, and Obama still had more followers. There goes the "one bad apple" argument. Politics / Re: Judge Napolitano is 100% Correct!! AND HE SAYS IT ALL ON FOXNEWS. HE DOES NOT MAKE EXCUSES. HE SAYS #ErraticTrump IS GUILTY. Politics / Re: "...a nation to which Europe owes everything, for Egypt is responsible for..."
Africans in ancient time traveled and settled in various places, including Asia. Serious stuff and it shows just how far into the lunacy of white so-called supremacy, the world and Black folks have descended. Politics / Re: President Trump Taxes Returns. Olds..t is a prime example of an uneducable dotard who watches nothing but FauxNews in primetime and read Breitbart. Consequently, he asks dumb questions AS IF there is no answer. THEN when folks answer with FACTS, he scurries away. Oh have it your way A--HOLE... Ask the people who have jobs today, do they want the Obama economy or the Trump economy. I've had a couple hundred and they've told me there's no comparison. They don't want the s**t Barry was selling as economic growth. Your mental midgetry, I realize, prevents you from following the logic of the conversation. #RealPresidentObama was SOLIDLY RE-ELECTED after he saved the auto industry and hundreds of thousands of jobs - direct and indirect - and helped to reverse the great recession that he inherited from your boy Bush43. But you cannot have it both ways. You can't blame Obama for stats and then ignore the tremendous increase in the DEBT in #ErraticTrump's term, which was a huge issue for you for years and years. So, you can call names - which is ALL you got - to display for everyone that you have NO argument to dispute what I said about #Loser45's culpability (Look it up!) for the debt. During the month of Obama's presidency that immediately preceded #ErraticTrump's election, the labor participation rate was LOWER than it was on the last date reported on the chart (during #Loser45's term). That lower rate - AFTER ALMOST EIGHT YEARS OF OBAMA - certainly reflects what Obama did as President. You'd agree with that, right? So clearly, Olds..t, if #RealPresidentObama's policies were responsible for the drop in the labor participation rate, then #ErraticTrump's policies are..
You complained about the debt FOR A DECADE or more, but haven't made a peep as #Loser45's policies have EXPLODED THE DEBT to unprecedented levels. This sucker Olds..t has had a terminal case of brain-deficient Obamaphobia for MORE THAN 10 years AND THEN has the nerve to accuse someone else of a deranged obsession. #RealPresidentObama has been out of office for two years and Olds..t still can't let it go!! When #ErraticTrump leaves office, his Presidential Library will be co-located with the State Prison his cell is in. More evidence of "DYING FROM WHITENESS." Blink? Pelosi has been cautious about calling for impeachment during this whole process? Exactly and so have most Democrats. As soon as you prove all the stuff you've been challenged about. There's a new Clown Act at the circus. 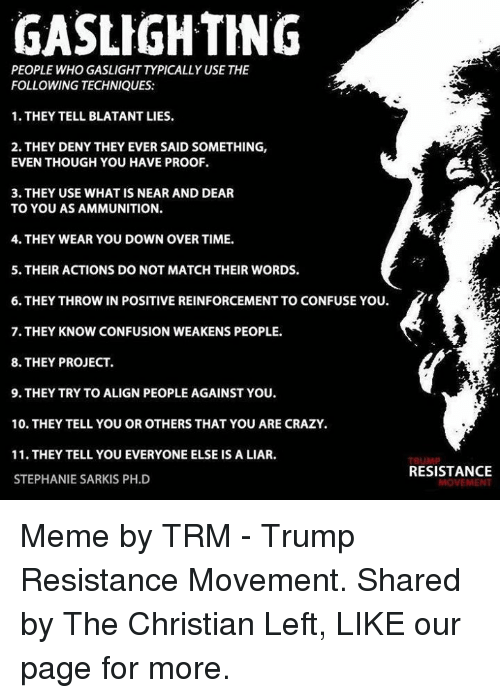 They are called DRUMPF AND THE GASLIGHTERS! !